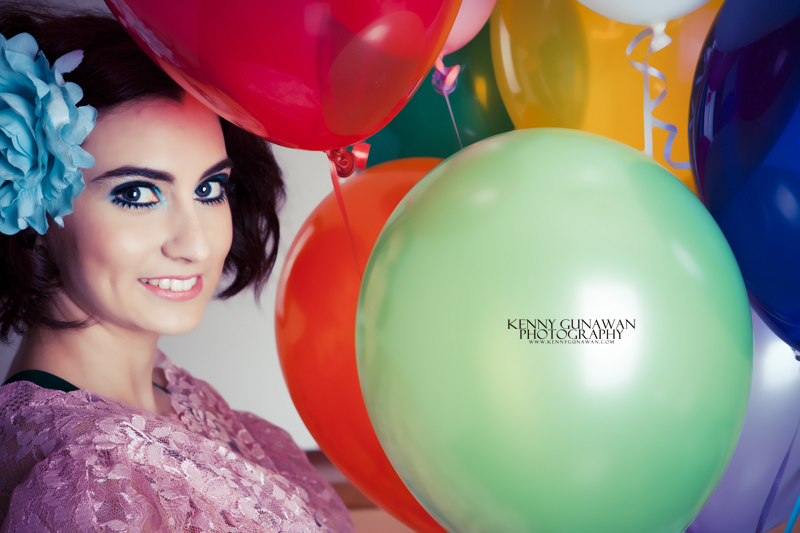 Hair and Makeup Overload: Photoshoot with balloons! I couldn't wait to share them so here I am posting a new post for you all, it's already past midnight and I should be sleeping. I guess I will just have to be zombified tomorrow and somehow make it through the day. Last weekend I did a shoot with two models, a photographer and a wardrobe stylist. The photos did not turn out the way we want it as many obstacles got in the way and we did our best to get around it. In the end we were disappointed, but we had a lovely day with lots of laughter and met some great people. Anyway credits to the following team members for making it a fun day. I have 3 photoshoots this weekend so I'll again be flat out exhausted, but look forward to some more photos to be shared in the near future. The makeup looks great! What a fun photoshoot- Pay me any day to look pretty & eat cupcakes :P Glad to hear you're so busy! OMGOSH THIS IS SO CUTE AND FUN! something about a balloon photo shoot is AWAYS AMAZING! i adore their makeup in these photos is so whimsical and fun! balloons are always good. can't beat how much fun they can be when they're just rubber filled with helium. It's twiggy inspired makeup here! love that style very cute indeed. hoping to get more photos soon! lovin this shoot with the colorful balloons and m&ms!!! very creative with the colorful makeup too !